Holds up to four times more cups than a conventional swing top bin. Specially designed to use the stackability of used disposable cups, whilst separating any associated waste beverage. Helps keep the workplace tidy. 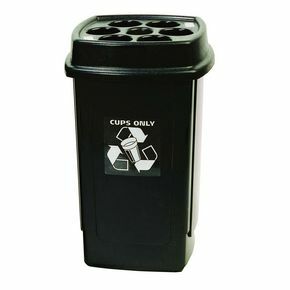 Create the possibility of recycling used vended cups. H x W x D: 650 x 360 x 360mm.